I crossed off a major milestone on my bucket list this week. I wrote my first book for school leaders!!! 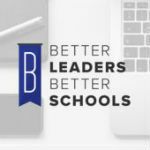 If you have gotten value from this show over the years I am asking that you purchase the book today: https://bit.ly/blbsroadmap (or search Better Leaders Better Schools Roadmap on Amazon). Thanks for listening over the years. I hope you enjoy the book as much as you enjoy the #1 downloaded podcast for school leaders.